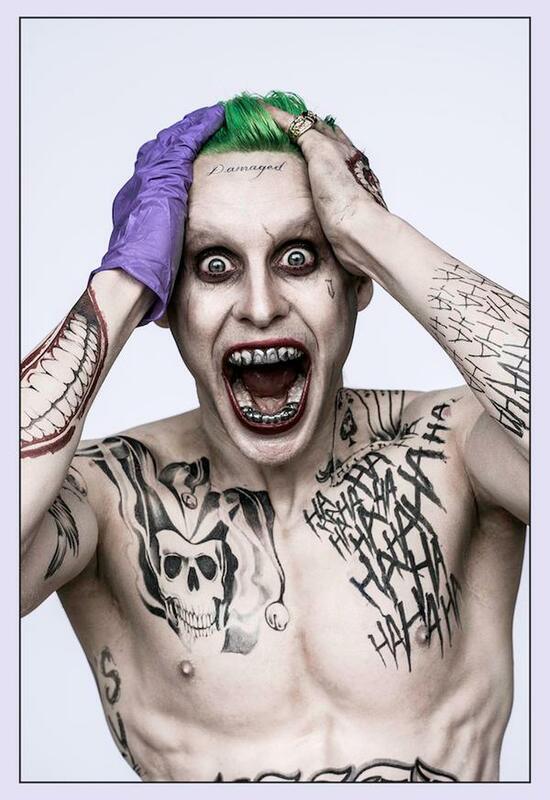 Jared Leto is the joker in the upcoming “Suicide Squad” movie, which has disaster written all over it, but this picture gives me a small smidge of hope. He looks more like Marilyn Manson than The Joker. He looks like what some 12-year-old thought, how cool tattoos should look like. The Joker brough to you by Hot Topic! Put a smile on that face, THEN I’ll be looking at The Joker. Uh oh, the fanboys are restless. You’ll all end up seeing it with your dicks in your hands and if it turns out that it’s a hit you’ll all claim to have been for it the entire time. Just like you all did with Heath Ledger. The thing is, no-one thought Heath Ledger could act as the Joker, then The Dark Knight pleasantly surprised us all. Most people are now thinking “Jared Leto might make a decent Joker” and we get presented with this dumbass juggalo design. He’ll probably still be a good Joker. But that doesn’t change the fact that this design is rubbish.